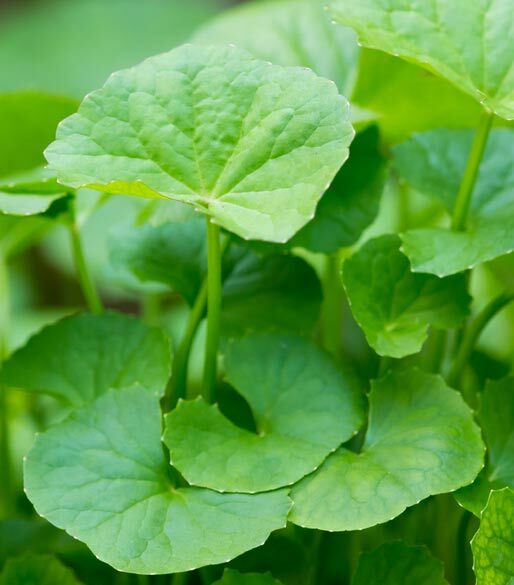 Centella asiatica also known as gotu kola and Mandukparni is an ancient Indian herb. The leaves of the plant resemble the shape of a frog, and that’s why the name. 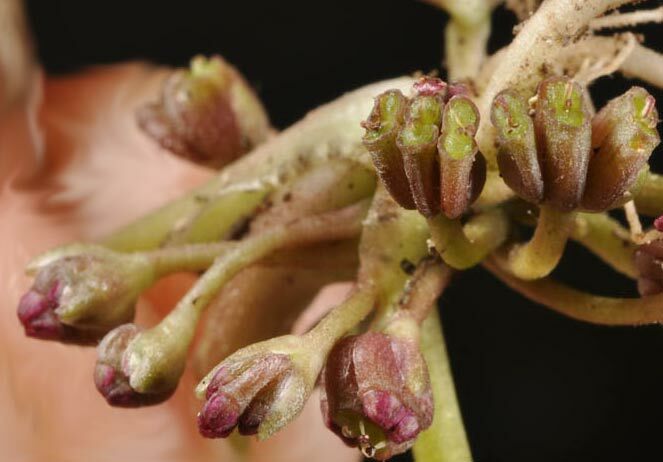 The stems are slender and reddish green in colour. The leaves are in shape of a fan with long stalks. The root is a rhizome and grown in vertically downward direction. The root is of a cream colour and covered with hair. The flowers grow in rounded bunches and are pinkish-red in colour. Each flower has five stamens and two styles. The fruits are smooth, warty and ribbed. The plant is used for various medicinal purposes since centuries. The plant grows in marshy areas of India, Nepal, Pakistan, Sri Lanka, China and Taiwan. It is also seen growing in ponds and bog gardens of Southern states of USA, Florida and Hawaii. The plant is cultivated throughout India. It is harvested manually in 3 months. It helps in enhancing memory and clarity. Centella asiatica allows blood flow smoothly in the body, increases the count of white blood cell and purifies the blood. Centella asiatica is used as a rejuvenating agent to promote youth. Because of its diuretic nature, it is used for the treatment of dysuria. 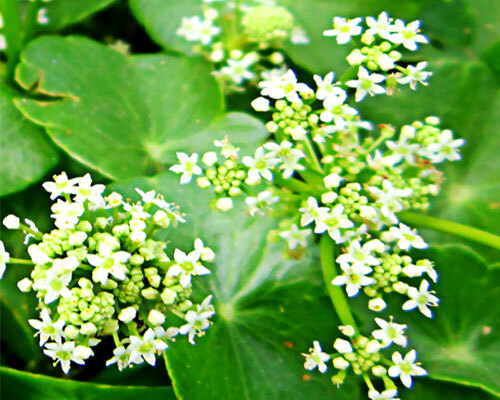 Because of it tranquilizing nature, it is used for the treatment of hysteria, agitation, insomnia and epilepsy. It is also used against elephantiasis by applying the paste on it. It is also useful for urinary tract disorder. Centella asiatica cures skin infection and diseases, swelling, and chronic ulcers. Centella asiatica cures cold, cough, asthma and hoarseness of voice. It is also useful for the treatment of cancer. It is also found beneficial for healing the wounds. Gotu kola enhances the immunity of the body. It is used to reduce high blood pressure. It also cures arthritis and joint pain. It cures burn, removes the scar of injury or chicken pox. Gotu kola is helpful in the treatment of liver and kidney. The plant is useful for the treatment of gastrointestinal problems. It brings down the body temperature caused due to fever. Gotu kola reduces female sterility. The powder mixed with coconut oil reduces hair fall, strengthens the hair and promotes hair growth. It is useful for the children for bowel disorder. In Thailand, Mandukparni is used to detoxify the Opium poisoning. It is also used for the treatment of Jaundice. The plant can be used for any kind of bleeding disorder. Consumption of the plant is proved safe during pregnancy and nursing women. It might cause drowsiness, so it is better to use this under medical supervision.